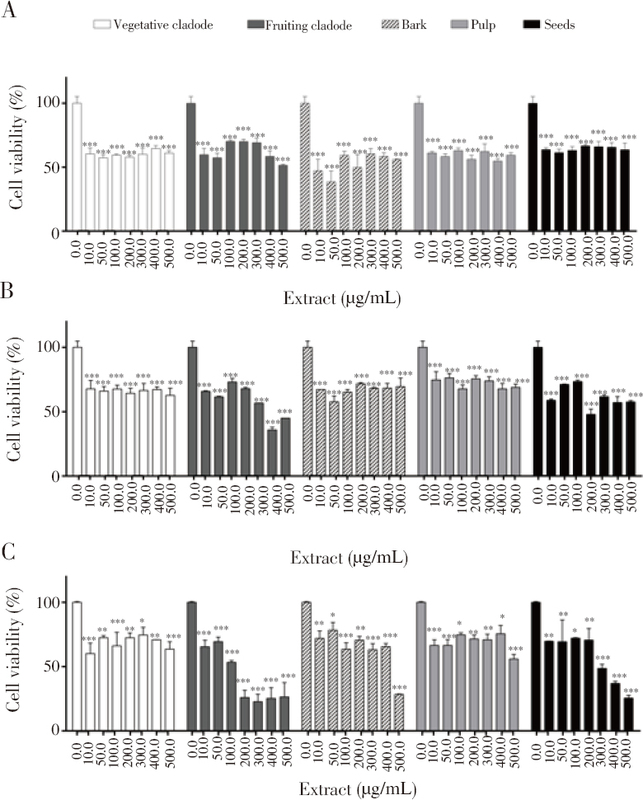 Figure 1: Cytotoxicity of C. jamacaru extracts in sarcoma 180 cells in vitro by MTT assay. Percentage of viable cells is presented as mean ± standard deviation (SD). Sarcoma 180 cells were treated with C. jamacaru extracts for 24 h (A), 48 h (B), or 72 h (C). The comparison between untreated cells (0.0 μg/mL) and cells treated with C. jamacaru extracts was performed by ANOVA post hoc Dunnett's test - *P<0.01, **P<0.001, or ***P<0.000 1 vs. untreated cells.